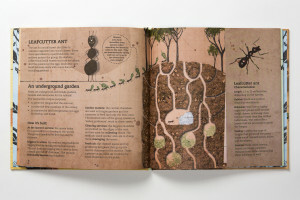 A lovely book by Daniel Nassar and Julio Antonio Blasco has been published by Laurence King this month. 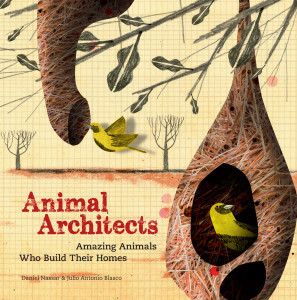 Animal Architects: Amazing Animals Who Build Their Homes is a fun and informative guide to how a sele ction of impressive animal architects create environments to live in. 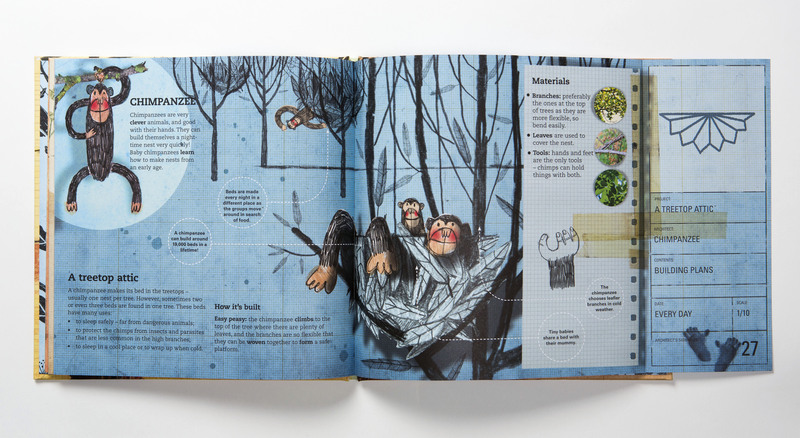 The book, priced at £10.95, features 14 species including the Caddisfly, Leafcutter Ant, Beaver, African Tree Frog, Spider, Chimpanzee and Hummingbird. Beautiful colour illustrations aim to teach children about the ingenious home-building skills employed by insects and arachnids, birds, amphibians, rodents and mammals. 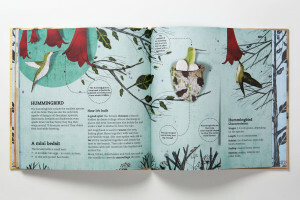 As well as information on where and how each creature builds its house, there is a fold-out information panel on the species including details on size, behaviour, feeding and enemies. Fun facts such as how termites construct colonies housing up to three million of them all add to the appeal! Daniel Nassar taught Architectural Design and Construction at the University of Chile and now runs his own architecture company in Barcelona. He has always believed animal constructions to be a source of inspiration for human architecture. Julio Antonio Blasco is an illustrator, painter and designer who has previously published three other books for children. Previous PostBaby boom at Drayton Manor!